Say what you will about Satya Nadella’s first six months as Microsoft CEO, but no one can deny the man jumped in with both feet from day one and has led the company with decisiveness. Some of his moves have been met with applause, and others with raspberries. 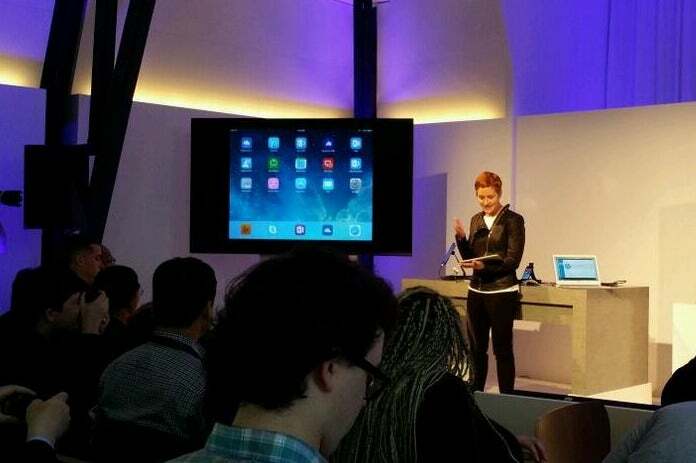 He got a standing ovation weeks into his tenure when the company finally launched Office for the iPad. More recently, many viewed him as corporate villain after he approved a 14 percent staff reduction, the largest in Microsoft’s history, and explained it with what some felt was too much corporate jargon. Throughout it all, Nadella has laid out his vision for Microsoft’s success: pursuing a “mobile first, cloud first” approach to product development intended to yield applications, servers, OSes, tablets, smartphones and cloud computing services that boost productivity for people at home and at work. Along the way, he hasn’t been shy about altering his predecessor’s path. He retired Steve Ballmer’s “devices and services” company description, emphasizing “platform and productivity” instead, and he is seen as much more open and flexible to having Microsoft software run on non-Windows platforms. He has approved surprising moves, like giving Windows free to makers of certain devices and partnering with CRM (customer-relationship-management) rival Salesforce.com. 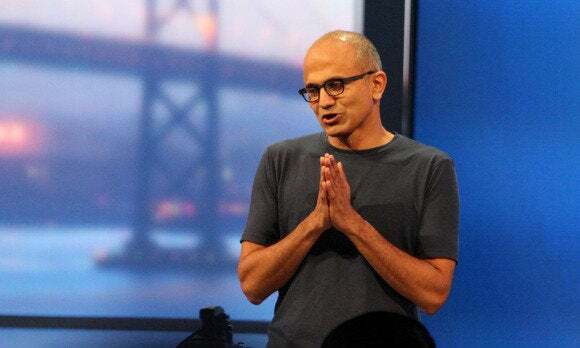 Nadella is credited with feeding Microsoft a hearty helping of humble pie, something many felt was needed and overdue. He likes to say Microsoft has shifted to a “challenger” mentality, as it battles Apple, Samsung and Google in a world where Windows still powers most PCs but only about 15 percent of total devices worldwide. He’s intent on changing Microsoft’s corporate culture, which Ballmer also identified at the end of his tenure as an area in need of repairs. 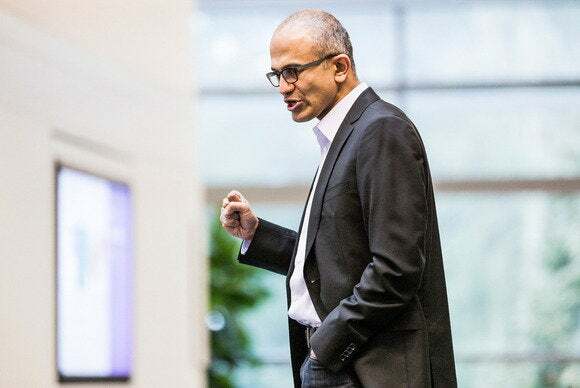 As outlined in his recent public letter to employees, Nadella is taking concrete organizational steps to accelerate decision making, speed up engineering processes and foster innovation. Microsoft turns 40 next year and Nadella is only its third CEO. Has he done enough so far? Is he leading Microsoft wisely? Is there enough substance behind his talk? Will he succeed? While it’s too early to make that judgment, some industry experts, customers and partners say they generally like what they’ve seen so far, but that he’s got a long road ahead of him. 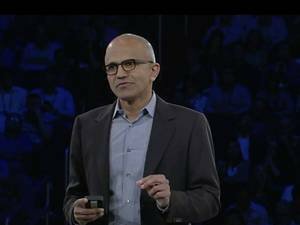 “The big thing with Nadella is that it feels like Microsoft is being run by a technologist again,” said Mike Hogan, the Microsoft general manager at En Pointe Technologies, a reseller, systems integrator and licensing provider that has been a Microsoft partner for more than 20 years. Edward G. Happ, global CIO of the International Federation of Red Cross and Red Crescent Societies (IFRC), a longtime Microsoft customer, so far has a “very positive” impression of Nadella. “Give away the Windows runtime to drive adoption? Check. Release a native Office app for Apple’s iPad? Check. Support Git and other popular continuous delivery tools on Azure? Check. These and other Nadella actions ensure that Microsoft’s fortunes will improve,” they wrote. Office for iPad is usually considered on of Nadella's triumphs. With his business acumen, Ballmer was the right CEO for his time, but with the mobility and cloud computing revolution, Microsoft now needs someone with the technology edge and vision that Bill Gates had, according to En Pointe’s Hogan. Ballmer was bashed during his last years for not responding quickly and effectively enough to the explosion in smartphone and tablet adoption, and to the popularity of cloud computing, in particular software-as-a-service (SaaS). “At the start of the Ballmer years, Microsoft looked like an innovation company. At the end of the Ballmer years, it looked more like a sales and marketing company,” said David Johnson, a Forrester Research analyst, via email. While Ballmer harvested the success of past innovation through sales and marketing efforts and via a “fast-follower” development strategy, Nadella is setting the stage for new innovation and a quest for leadership, which is a return to Microsoft’s philosophical roots, according to Johnson.